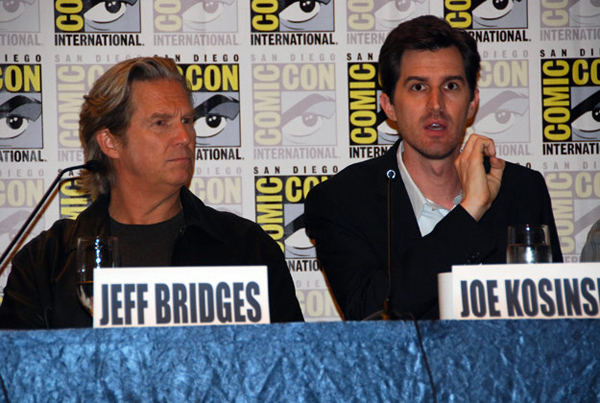 First big panel of this year’s San Diego Comic-Con 2010 was TRON: Legacy. There has been a lot of hype through viral marketing that has created some serious buzz for this film. Many of the original cast talked about how much the technology has differed since the original film 25 years ago. One of the bigger improvements were the suits. “All we had was spandex suits with magic marker,” – Bruce Boxleitner, who is reprising his role as Alan Bradley. Each suit was uniquely fitted for each actor using cyber-scan technology in order to create a skin-tight fit. The suits were created with the highly-flexible, translucent lighting woven into the material. "The suits were amazing, they are totally revolutionary and were an honor to wear." - Olivia Wilde, who plays Quorra. Michael Sheen recalls each time there were suited actors in a scene, director Joe Kosinski would call out – lights, camera… ‘light ’em up!’… action! "It was so cool seeing all of the suits come on at once... you forgot to act!" The cast and crew talked about the story of TRON: Legacy and how it differed from the original. 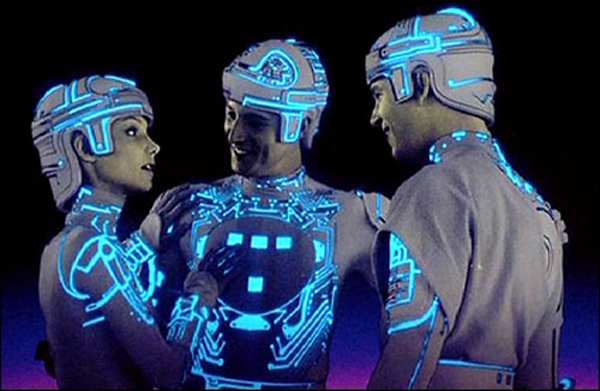 The original TRON was a story of rival video game developers, the new movie centers more around the father/son relationship between Kevin Flynn and his son Sam. Star Jeff Bridges talked to the press about how he had been hearing rumors about a Tron sequel for years leading up to the actual green light, but had given up on it long ago. "Disney wasn't satisfied with the scripts, so they waited... and I'm glad they did. The script was great. It tickled the kid in me, just like the first one." - Jeff Bridges, reprising his role as Kevin Flynn. The production team confirmed that there will be a Blu-ray release for both Tron: Legacy and the original film. They also hinted at the possibility of TRON: Legacy being a 3D home release. Since the newly updated PS3 Firmware 3.30 allows 3D games and movies, I think it’s reasonable to say that it is within their grasp. 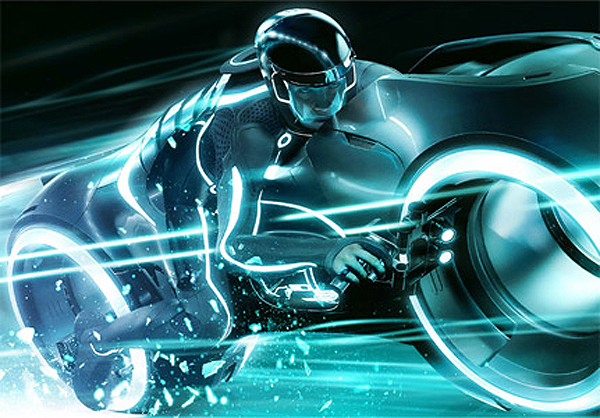 TRON: Legacy hits theaters this December.